Undoubtedly, at least once in your lifetime you have had to move your home or your workplace. You are probably already familiar with all the hardships of the process, but as a reminder, even the simplest of relocation can lead to damages and injuries, and all those paid for with your precious time, peace and money. 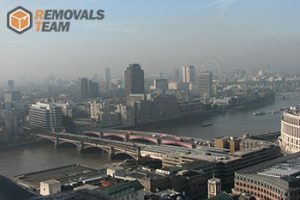 Instead of trying to do it by yourself, you should take advantage of Removals Team’s excellent removals in South London. We are part of a very fast developing and extremely competitive industry. The need for office and home moves is ever growing. Sadly this expansion of the business has allowed a great deal of subpar companies to creep in and take advantage of some unlucky people. Instead of risking the security of your belongings by hiring some arbitrary firm, you can rely on the tried and true skills of our relocation team in SE, SW. We have been industry leaders for many years now and we have maintained a pristine reputation over the hundreds of jobs we have undertaken over the year, only to leave our clients content and coming back for more. We do not delude ourselves the slightest – without our employees we are nothing. We are extremely proud of our skilled and motivated team, that has been with us throughout the years. We are however very picky when choosing new employees. We make all of them undergo a very strict selection, followed by an equally demanding training process. The end result is a team of qualified specialists that are the best at both home and office relocations but also competent at a variety of supplementary services. It is a shame to waste such an excellent crew by making them work with cheap materials, so we have spared no expense with the resources they use either. We take care not only for your property’s safety, but the safety of mother nature as well by using only the highest quality of biodegradable packing available. Over the years, we have managed to gain the attention and appreciation of numerous customers with our pocket-friendly moving services in South London. There are not many teams of professional movers in this part of the English capital that can rival our clear pricing policy. We, from Removals Team, also offer clients a fair price matching solution that will help them see and experience our scandalously low prices first-hand. Another safety precaution is our perfectly equipped and maintained vehicle fleet. Our veteran drivers are capable of making rapid deliveries anywhere in the area. For those looking for quick relocations we would recommend our top rate man and van services. The affordability we can offer you always goes in combination with top-notch domestic removals in South London. It has never been a problem or a particular challenge for us to provide our customers with high quality moving solutions. That is because we employ checked, vetted and professionally trained movers and helpers. In addition, our well-maintained and advanced moving vans have a large capacity and are fully insured. From 1 to 10 our reliable moving service in South London is a guaranteed 10 and a half! During the many centuries of its existence London’s importance as a cultural and economic center has never waned, in fact it still stands as of today one of the most significant Capitols on a global scale. It is the largest settlement in the EU, with a populace of nearly nine million people, all of which form a diverse multicultural community. The sub-region of South London is home to the boroughs of Bexley, Bromley, Croydon, Greenwich, Kingston, Lambeth, Lewisham, Merton, Richmond, Southwark, Sutton and Wandsworth. 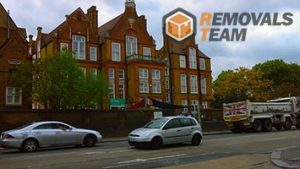 Removals Team is your go-to place for efficient, stress-free relocations in South London. As it is attested by hosts of satisfied customers of ours, there is no removal in South London that we cannot get around to do. Our capable, trained and fully licensed staff consists of veterans in the field of moving homes, offices and single items. We believe in the individual approach toward every removal in South London that we have been hired to do. This means that you will have to receive a team of ours to carry out an initial viewing on your premises, so that we can assess the situation properly and tailor an individual plan for the moving day. We will cover all details and make the necessary preparations for your comfort and peace of mind. Of course, you will able to count on our friendly and very helpful around the clock customer support at all times in the days prior to your removal in South London, as well as during it. Free moving and packing tips over the phone are the rule of the day. In case you have any questions concerning our company, just ask us. We, at Removals Team, can be hired for both mid-week and end of the week moving jobs. We have responsible and punctual teams of moving experts in every town, district, area and small locality in this part of the UK capital. Also, we are a sticking to a remarkably flexible schedule and thanks to that you can rely on our effective removals in South London even after regular office hours. South London is a term that designates this part of the Greater London area that is to be found to the south of the banks of the River Thames. In the past many areas in South London were more or less rural in character, but the coming of the railway and the subsequent urban and suburban growth of the capital prompted the development of South London. Lambeth and Croydon, two prominent South London boroughs are among the best residential and commercial centres outside of Inner London. Our company has teams in every part of South London. One of the biggest and oldest misconceptions about this part of the English capital is that it is not particularly rich in cultural sites. With places and facilities like Design Museum, Brunel Museum and South London Gallery, that couldn’t be farther from the truth. Without a doubt, Tate Modern is among the most fascinating local cultural attractions. It now attracts over 5.8 million visitors annually.